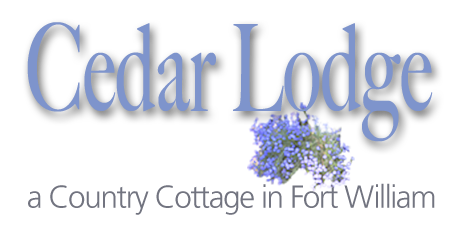 Cedar Lodge is a comfortable, fully self-contained, semi-detached holiday cottage in Fort William which sleeps up to five persons in two ensuite bedrooms. 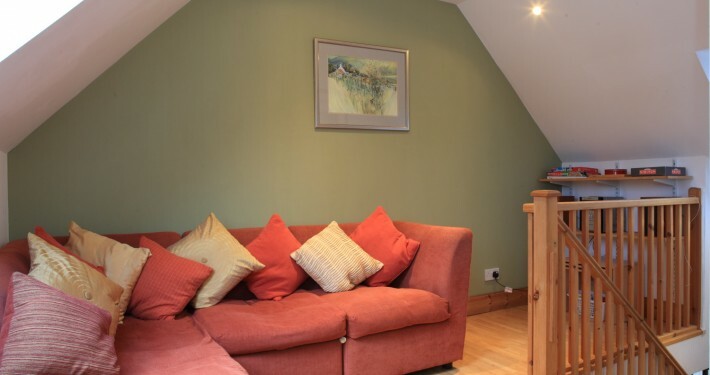 The property has an entrance hall leading to a ground-floor dining room and fully fitted kitchen. There is a large ensuite bedroom with bath and shower. 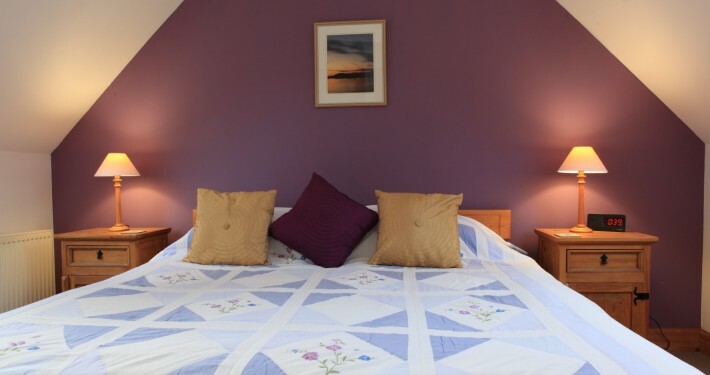 This room has a king-size bed, or can be set up with two single beds on request. 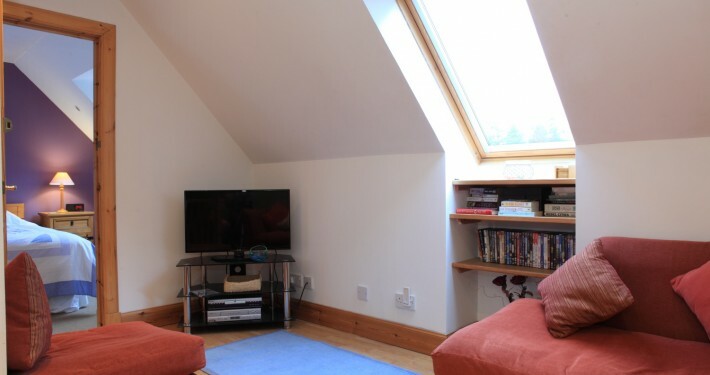 Upstairs the property has a small but cosy TV room which is also a nice room to read and relax. 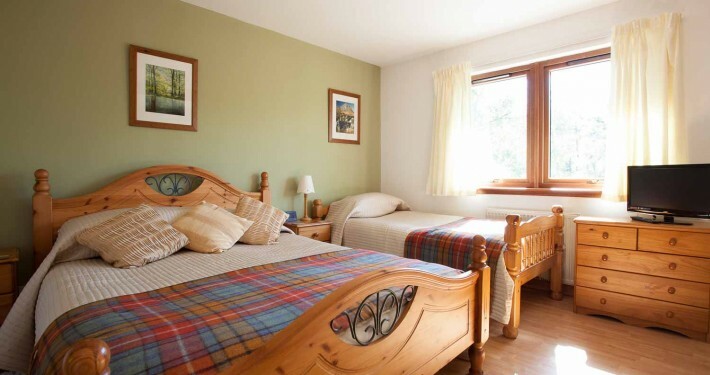 There is a second bedroom with large double or twin beds, shower and toilet. We have loads of private parking and two splendid garden decks to hang out on in good weather. 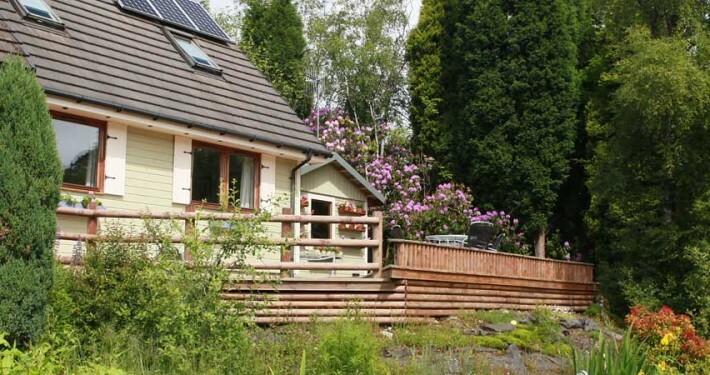 Our Fort William self catering is maintained to a high standard of cleanliness and facilities – our views of the mountains are definitely 5 STAR. 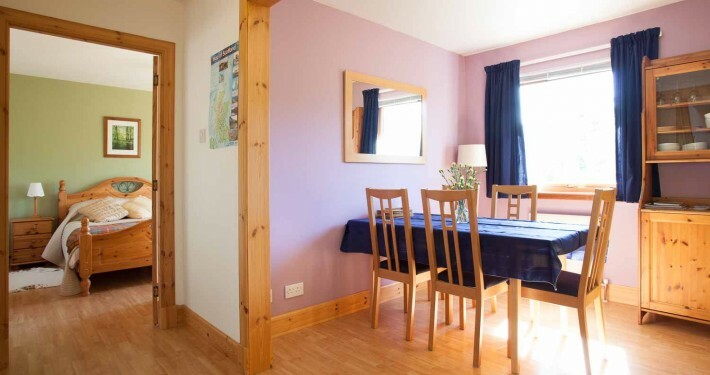 This clean and tidy self catering in Fort William is supplied with all bed linen, towels, heating and power, Freeview, DVDs, radio/CD. There is nothing else to pay. The kitchen has everything you will need, including cleaning materials. We provide WiFi for you use. • Bikers welcome – garage space !